I think its safe to say that most if not nearly all MLS fans want some form of single table. Just the two words together spark loads of debate from MLS fans. Throw in a guy like MLS Commissioner Don Garber uttering those very words and you get some folks heads exploding. In a recent interview with Soccer America, Garber pointed out again that the league is reviewing every option that they have for when Portland, Vancouver and even Montreal enter the league over the next two years. [Realignment] is certainly one of the things we’re looking at, though that shouldn’t be a headline by any means. We do look at the single-table concept, we’re looking at our playoff format, we’re looking at our conferences and if we re-align, we want to make sure we do that in the right way. We look at the calendar. We look at everything. Most folks agree that its time for some switch and having two new clubs next year could be the perfect time to re-do the way the league is structured. More than likely the league will stick with the conference set up. For the regular season the eastern and western conference format does work but like we’re seeing this year for the playoffs the east vs west format in that part of the season just doesn’t cut it anymore. There’s two approaches by which one can address the schedule. One is a balanced schedule by which we ensure every team plays each other. That has a certain value, certainly to core fans, and I think it has a lot of value to coaches and technical directors, who think perhaps it’s the fairest way to determine which team is the best in the league. Another approach is to have an unbalanced schedule and we’re looking at a wide range of ideas to assure that we can grow the overall relevance of our clubs in their local market. One way we believe we can do that is by having more rivalries, and by rivalry I mean a game that’s of great importance to you because it’s against a team that’s nearby or one that there’s a long historic connection with. Another support of the rivalry approach is that you get an increased chance of a truly memorable moment. That could be put forth on a more regular basis. With the whole balanced schedule it seems logical to switch to a single table format. In a way the league already uses one for playoffs and tournament qualifying (see SuperLiga). But I do get why the league would want to go all crazy over the rivalries thing with the Pacific Northwest being super hot next year as well as the east coast rivalries between New York-Philadelphia-New England-D.C., expanding on those rivalries makes sense. With more teams and more games (34 next year) in 2011, plus the Champions League, SuperLiga, and US Open Cup it will be a busier year for the MLS. 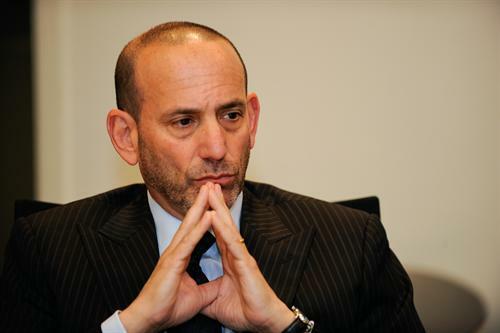 Juggling all of that won’t be easy which is why Garber is saying the league is looking at everything right now. I’d love to see a balanced schedule, a single table format and the playoffs bringing in the top eight clubs (conference winners getting an auto-bid, everyone else is a wildcard). More than likely that won’t happen but we’re all dreamers here. The balanced schedule worked this season, and really it should show the league executives that its something worth keeping for 2011. I feel as if it’s important to keep the balanced schedule. It’s the most fairest, and plus playing your rivals only twice a season instead of three or four like Garber is contemplating makes them so much more intense and fun to watch. Fans and players alike will look forward to them a lot more. Also I feel like not many of us will want to watch Chivas vs the Galaxy more then twice a season (outside of LA, or Chivas fans of course). I’m not with the Don on this one. Just because a clubs play each other more often, doesn’t necessarily mean that they’re rivals or will become them. And as a Fire fan, I wouldn’t look forward to playing KC or Columbus more often and playing west coast teams less.